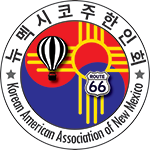 The mission of KAANM is to represent and advocate the interests and voices of the Korean Americans and other associated citizens residing in the areas of New Mexico to provide and promote various services and intro/inter-community activities for their benefits. Establishing a communication and social network throughout the Korean Communities in the area to provide important information related to their civil rights, health, safety, welfare, and education. Promoting friendly relations and collaborations between different groups within the Korean communities as well as between Korean communities and other communities in the area through various joint community activities such as cultural festivals, food fairs, sports events, and sports projects. Fostering healthy and productive educational environment for the youth of the community by providing seminars on various educational subjects as well as on drug/alcohol prevention programs. Providing healthy and joyful living environment to the elderly citizens through various hobby classes and educational programs. Perform fundraising or revenue generating activities to financially support all the activities or programs described above and the management of those funds. Issuing or providing various certificates, letters, commendations, and appreciation plaques to those who provide services, contributions, and donations to this organization. 뉴멕시코주 한인회는 1987년에 창립되어 전직 회장님들의 훌륭한 지도력과 활동으로 현재까지 발전되어 왔습니다. 이를 바탕으로 교민들에게 꼭 필요한 한인회가 되기 위해 현재 집행부는 열심히 일하고 있습니다. 뉴멕시코주 한인회의 목적은 한인 상호 간의 내적인 단결과 화합을 바탕으로 이곳 미국사회와 협력하고 한인들과 미국사회를 연결하는 교량 역할을 담당해 궁극적으로는 한인사회의 단결과 발전을 이루는데 그 목적을 두고 있습니다. 뉴멕시코주는 서남부에 있으며 한인 대부분이 해발 5,500ft의 고지대인 앨버커키 시에 거주하고 있습니다. 앨버커키(Albuquerque) 도시의 이름은 대략 1700년 초 스페인의 점령 당시 총독 앨버커키 공작의 이름을 따서 지었다고 합니다. 뉴멕시코주의 주도는 산타 페(Santa Fe)이고 앨버커키에서 북쪽으로 60마일 떨어진 곳에 있습니다. 도시는 앨버커키보다 작지만 독특한 인디언 문화와 히스패닉 문화가 잘 조화를 이루고 있는 세계적으로 유명한 예술의 도시입니다. 특이한 건축 양식과 화려한 색깔, 수많은 예술가의 작품이 전시된 갤러리들은 싼타페에서만 볼 수 있는 풍경입니다. 그 때문에 예술의 도시라 불리고 연중 세계 곳곳에서 많은 관광객이 찾아오곤 합니다. 앨버커키의 기후는 사계절이 뚜렷해 한국의 기후와 비슷하지만, 고지대이다 보니 습도가 낮아 여름에 화씨 95도까지 올라가도 그다지 더운 느낌을 느끼지 못합니다. 사계절 항상 청명한 하늘과 맑은 공기는 이곳의 자랑이며 특히 도시 주위에 높은 산들이 있어 가을에 물드는 단풍은 장관입니다. 겨울에는 눈이 많이 내리는 편이지만 도시 내에서는 금방 녹고 도시와 인접해있는 샌디아 Mountain (해발 10,600ft)에는 스키장이 있어 많은 사람이 스키를 즐기곤 합니다. 뉴멕시코주의 관광과 볼거리는 홈페이지에서 안내하고 있습니다. 한인회 홈페이지를 많이 이용하여 주시고 끊임없는 관심과 성원 부탁드립니다.